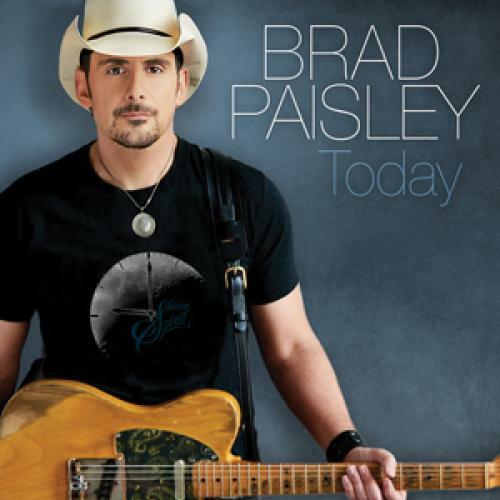 Country superstar Brad Paisley's current single "Today" is resonating with fans all over the world. The emotional video quickly went viral after its release and has been viewed over 25 million times during the first week with over ½ million shares on Facebook. Fans have made sentimental posts on Brad's Facebook page, such as wedding proposals, baby announcements, military returns, first dance at weddings, and many other unique "Today" moments. View the video HERE. "I have seen and read the posts and I'm thrilled that the song and video is touching a chord with so many," Brad said. "'Today' means a lot to me and I'm glad it's a favorite of so many so soon." On the heels of the flurry of online and social activity surrounding the new single, Paisley achieves his first #1 on Billboard's Country Digital Song sales chart with "Today." The song accumulated 41,000 downloads in its debut week. Following its first full week of tracking, "Today" jumped from #49 to #12 on Billboard's Hot Country Songs, adding 1.1 million first-week U.S. streams and 3.9 million in airplay audience. Co-produced by Paisley and Luke Wooten, this powerful love song was co-written by Paisley, Chris DuBois and Ashley Gorley. "Today" will be featured on the world-renowned entertainer's forthcoming studio album, his 11th release on Arista Nashville. Fans can download "Today" HERE and stream it HERE. Look for Paisley, for his ninth consecutive year, to co-host of the "The 50th Annual CMA Awards" with Carrie Underwood, November 2, (8:00 - 11:00PM/ET) on the ABC Television Network.